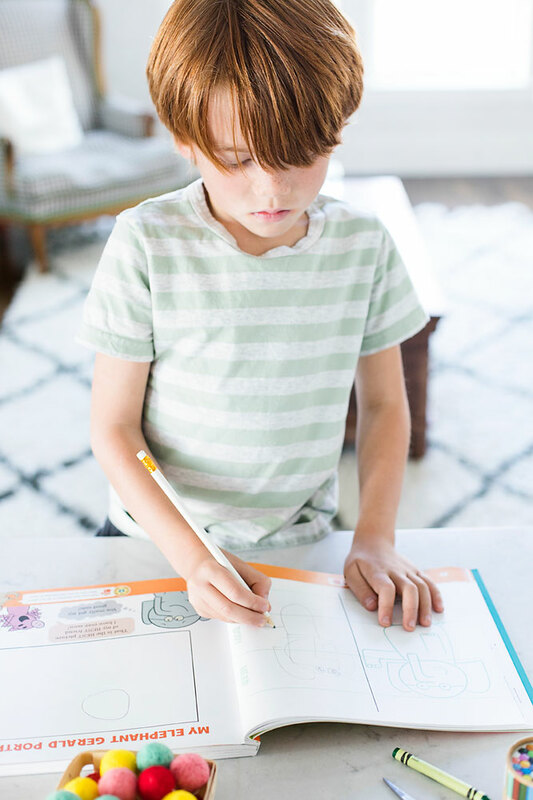 We are so excited to be back sharing with you the latest Mo Willems book and partnering on a sponsored post with Disney-Hyperion for the #ReadMo ambassador program! 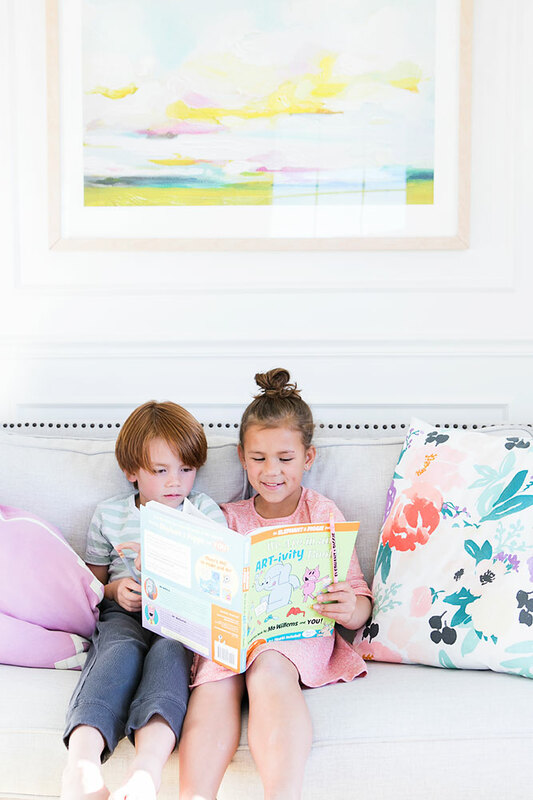 We have loved Mo Willems (New York Times best selling Author) books over the years, and many of them are still my kids favorites! 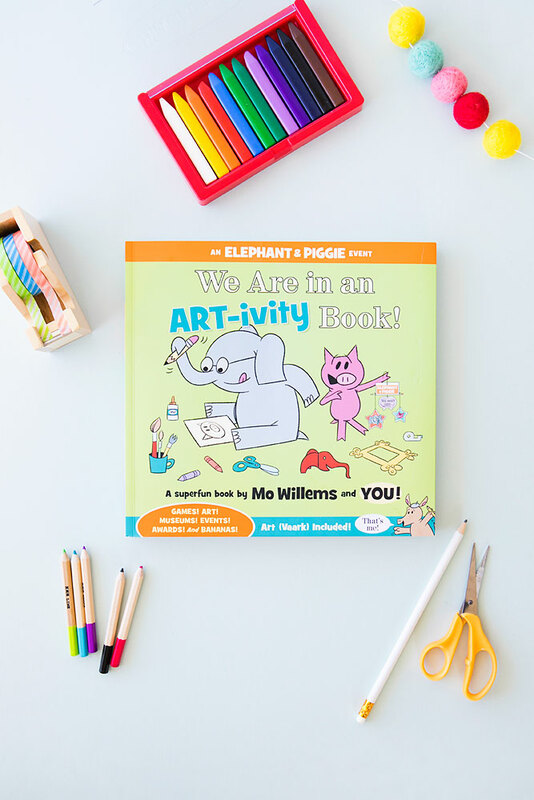 The newly released book We Are in an ART-ivity Book! by Mo Willems and Mr. Warburton is a new favorite amongst my kids (great for kids ages 4-8)! They have been begging to take turns with it, and I don’t blame them. It is pretty rad! 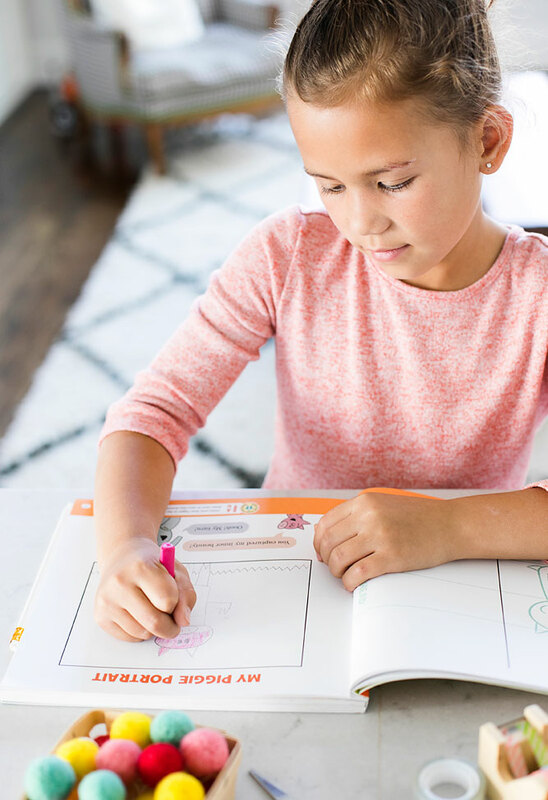 It is a super fun hands-on activity book with games, art projects, awards, and more! 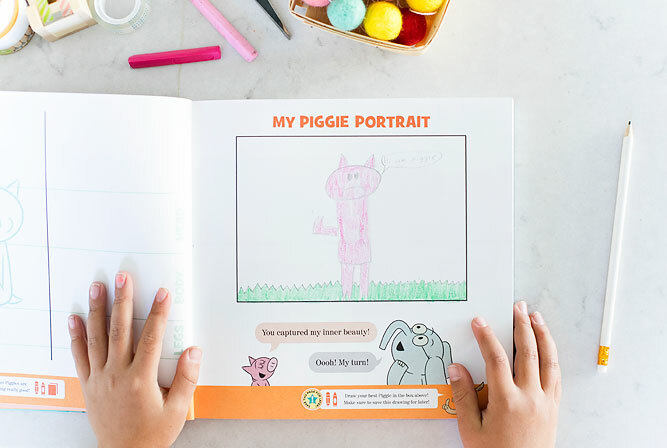 My kids loved learning how to draw Elephant and Piggie, and playing the games! 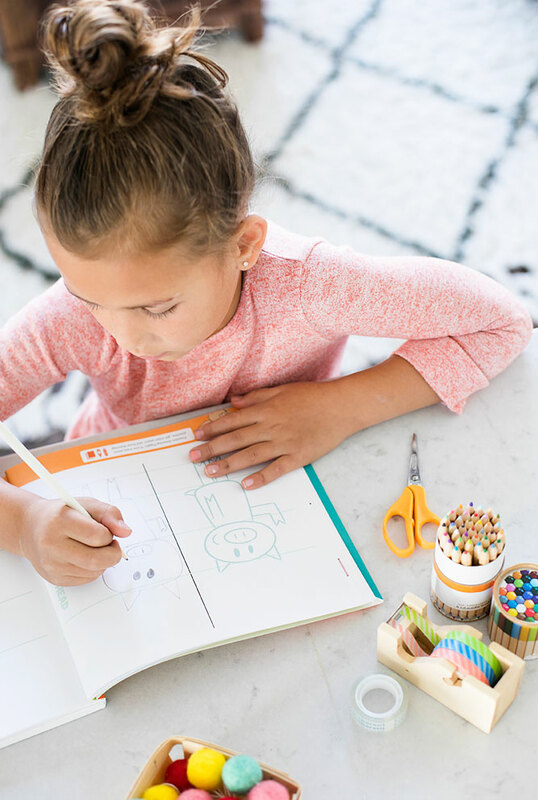 My kids love doing art projects, so it was so nice to have a interactive narrative book that invites kids into an exciting adventure complete with ideas and instructions on how to make some amazing art! 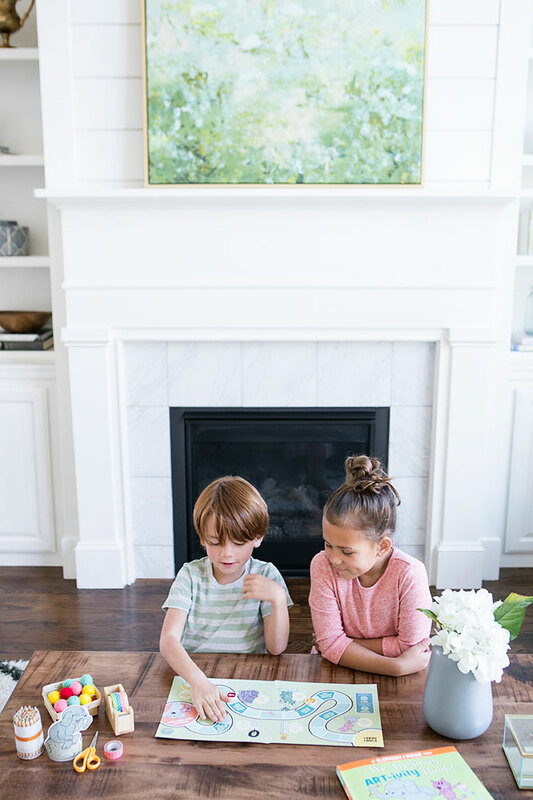 Now, if you are like me, you might wonder what to do with all this amazing art your kids do! 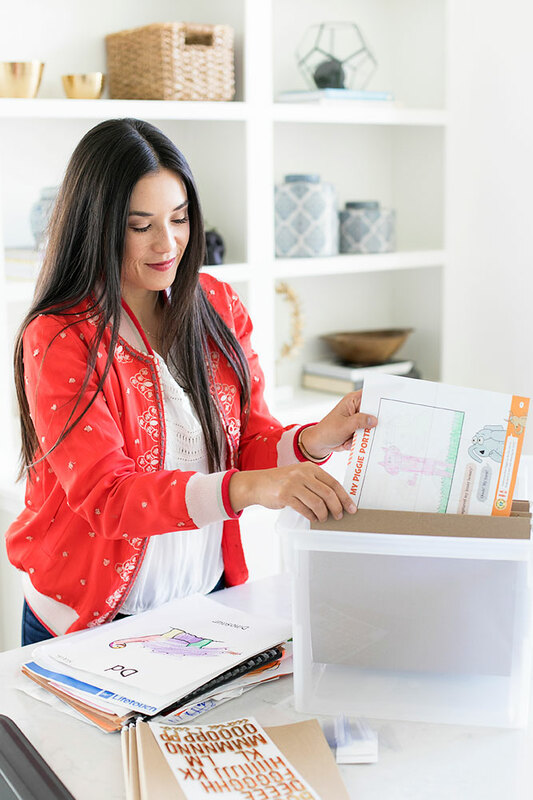 My kids come home with stacks of art and papers all the time, and as much as I love to see their creativity, sometimes it can be overwhelming. I decided it was high time to do something about it, papers were piling up, and things were getting out of control! I decided I needed to have a system, or else art projects and papers were going to bury me! So, this is what I came up with! 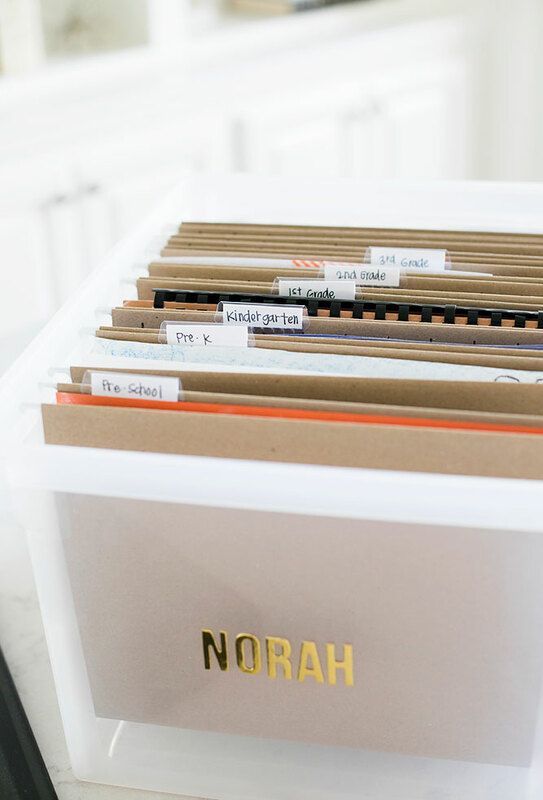 Step one: Sort and Label. 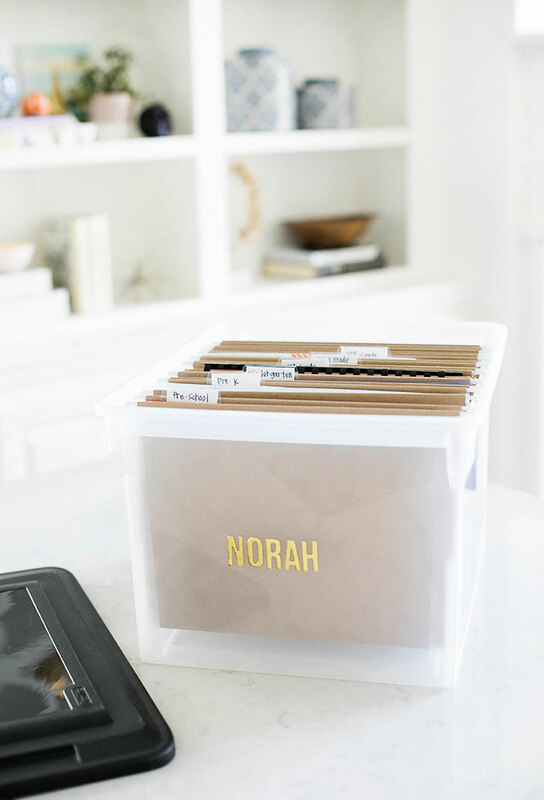 I usually keep a little folder or box for my kids to put in the work they think is really special and would like to keep. As much as I would like to keep it all, I usually only select a few pieces per school quarter so that it doesn’t get out of control. Next, I sort and label their keepsakes by school year and divide out the artwork and papers by year. Step two: Decide the categories. I decided I thought it would be best to divide out the file folders by grade. Preschool, Pre-K, Kindergarten, First Grade and on! 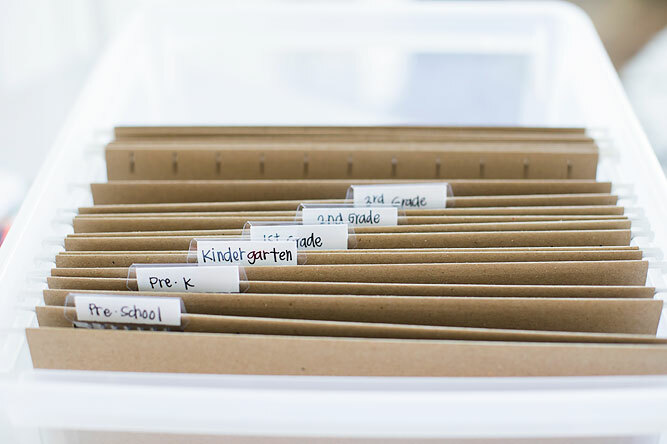 You can just do it by grade, or even take it one step further and divide it out into grades, then you could also add a few categories at the end like: Sports, Awards, Grades, School work, School Pictures, etc. Step three: Label the box. Make sure to Label the box with your kids name! Have them make their own label or print one out! And, Done! 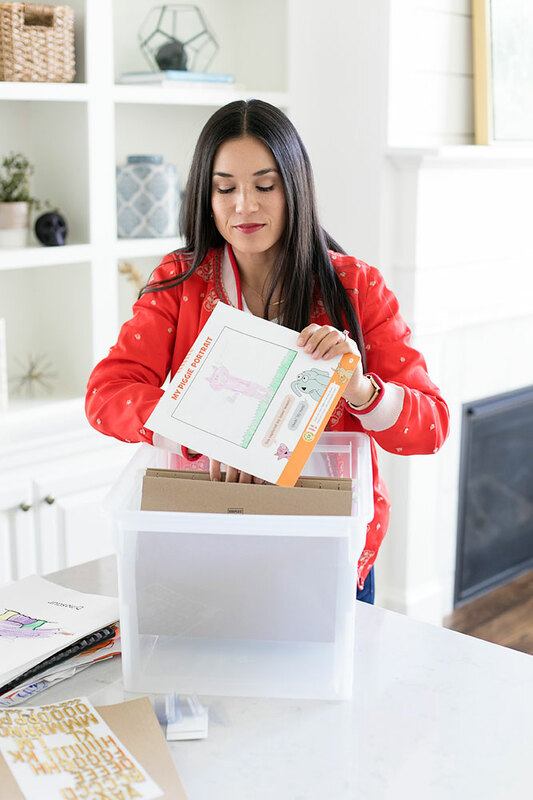 Hopefully this will help you climb out of the pile of papers you might be in too! I’ve been wanting to do this for a while now, and I am so happy I finally got it done! My kids love to go back and look at their work, they are so proud of all of their artwork and masterpieces! We will for sure be adding in our new artwork the kids made from the Art-tivity Book! Visit the Official Website of We Are in an Art-ivity Book!